Looking through adminpanel generator packages, they usually have some kind of a manual or documentation. Our QuickAdmin doesn’t. And that’s a deliberate decision – here are the reasons why. Seriously. If you see documentation of 20+ pages or sections, you probably won’t read it. Everyone these days is looking for something like how-to video, quick start guide, short showcase, cheat sheet, demo – we are all in a hurry. After all, QuickAdmin itself has a purpose of saving time for generating code. You will probably go to “How to Use” only and try to find all answers there. 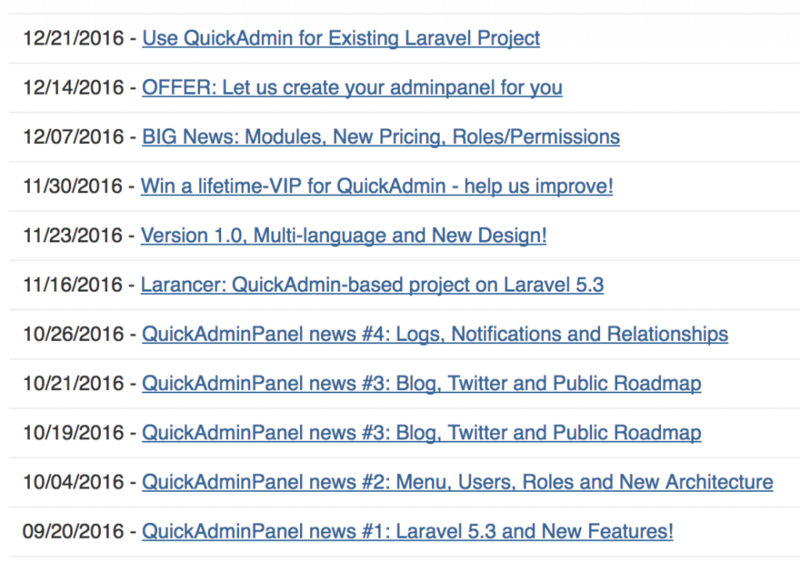 The whole thinking behind QuickAdmin was to make it different from similar packages. You don’t need to know any coding to use QuickAdmin – only use it as Laravel project after download. So we were trying to stick to names and visual representations understandable to developers – CRUDs, Fields, Validations etc. If we had a manual for all of it, that would have negative effect on the very philosophy of QuickAdmin. Of course, there are some functionality that needs explanation – for example, Relationship fields. So in these cases we add some help text there and then – as hint italic-font explanation, or as tooltips. This way people get help immediately as they need it – without searching for it in long manuals. I’ve heard from a local company called Mailerlite that they received over 80 000 live-chat requests per year. Which should be huge, right? But, getting back to the initial point of the article – people don’t have time for anything, they want quick answers and quick professional help. And live-chat help actually brings customer loyalty in the long run. Also, I constantly say kind words about our decision to provide live-chat support – that’s one of our advantages over competitors. But few people realize that it’s as useful to us as it is to our customers! There are situations where users are confused by something, and then they ask us directly in live-mode. Some of these questions show us the weaknesses of QuickAdmin or of our UX decisions. The most embarrassing one was when we launched new pricing plan, and a customer wanted to purchase one of them and couldn’t find it. Even if we did want to write up a documentation page, it would be quite tricky – in the early stages we refactored the code and some UX elements quite significantly. Every Wednesday we send email updates to our users (you can read the newest issue or all of them here), and they should notice that every week we have something new, sometimes changes need to be documented. So updating the documentation would be an additional hurdle for us, taking the time from actually building and improving QuickAdmin, which is the priority. NEW in QuickAdmin: many-to-many relationships! 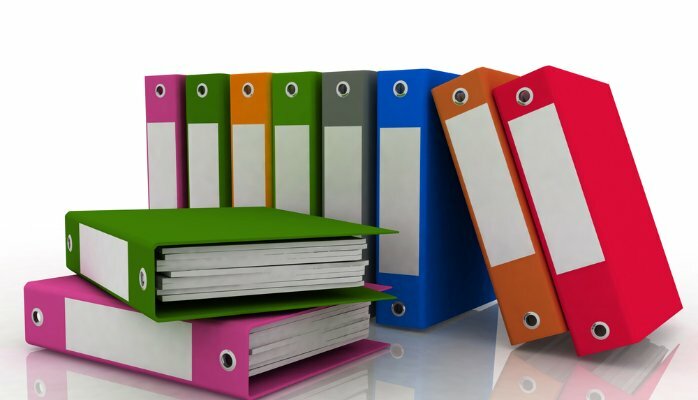 So, all in all, we have enough reasons NOT to write any official documentation or manual, instead we’re happy to help personally in any way – email, live-chat or Skype. Do you agree with this strategy? Well done guys. Have a few days to recharge and have a happy Christmas/new year. Thank you Jonathan, yes we will be back in full power with new energy for stuff to come in 2017!